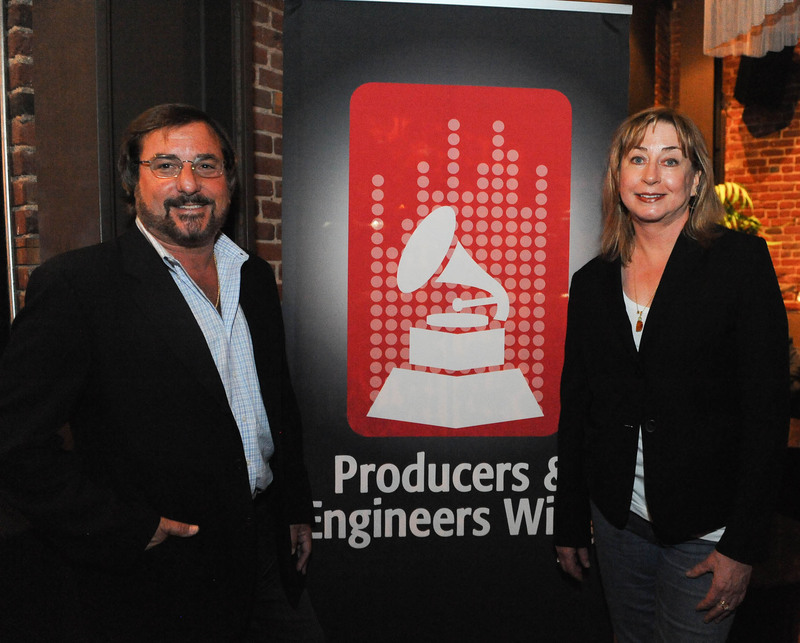 Pictured L-R: GC Pro Vice President Rick Plushner and The Recording Academy® Producers & Engineers Wing® Senior Executive Director Maureen Droney. Photo by Trisha Leeper/WireImage.com. Photo courtesy of The Recording Academy®/WireImage.com. © 2012. In April, GC Pro helped sponsor two events –"Quality Sound Matters" in Nashville and "Texas Retreat at the Rock" in Wimberley, Texas – both of which were part of the Academy's ongoing initiatives to educate about and demonstrate the importance of high-quality audio. The events were presented by The Recording Academy Nashville and Texas Chapters, together with the Producers & Engineers Wing®, and both featured a presentation by GRAMMY-winning engineer Andrew Scheps (Adele, Metallica, Red Hot Chili Peppers, others) entitled "Lost in Translation," in which he compared various listening formats to demonstrate the audible differences when switching between compressed files and lossless masters. The events also included conversations with locally-based luminaries including, in Nashville, singer/songwriter/composer/studio owner Ben Folds, producer/publisher Frank Liddell, and GRAMMY-winning engineer Bob Ludwig, along with GRAMMY-winning producer/engineer Chuck Ainlay acting as moderator; and in Wimberley, with The Mastering Lab Chief Mastering Engineer and P&E Wing Steering Committee member Eric Boulanger in a panel discussion with Scheps, moderated by platinum producer/engineer Tim Palmer, during which they explored quality audio issues in the digital age. Maureen Droney, P&E Wing Senior Executive Director, stated, "These events are a key part of the P&E Wing's educational outreach, continuing growth, and dialogue with the industry. With sponsors like GC Pro, we have an even stronger connection to the manufacturers, experts and sales people who work in the trenches every day. We are very grateful for our ongoing relationship with GC Pro and for their support of our important initiatives."